"How to lose weight well" returns for another season. 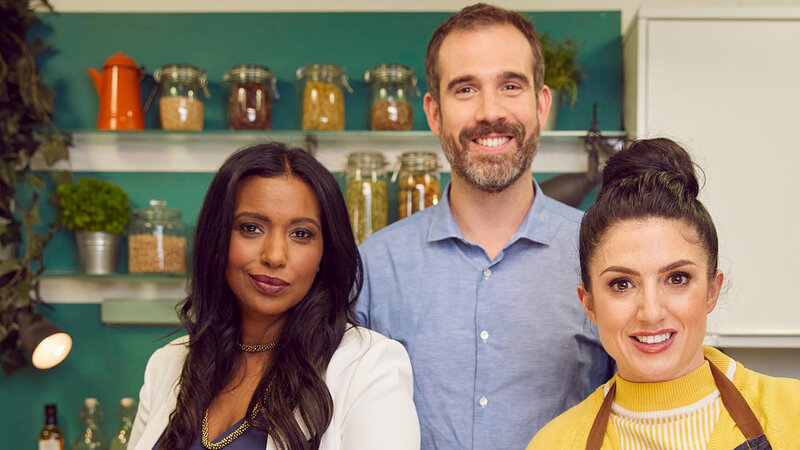 Dr Xand van Tulleken and dietician Hala El-Shafie help six dieters attempt the most hyped and written-about diets on the market today, meanwhile, cook Stacie Stewart helps the volunteers turn their diets into delicious dishes. The Copenhagen, an ultra weight loss regime; the Special K , mixing cereals and high fibre; and the Bonus Years regime are just three of the diets road tested this time. Watch now on ALL4. This episode sees AK and Bethany slimming for speed dating; Gemma and Charlotte are trimming for a school reunion; and couple Si and Simon want to shed weight for Manchester Pride. Watch now on ALL4. Emilie and Harriet have two weeks to slim down for a photo shoot. Natasha and Chiquita go on a six week diet for Natasha's wedding. And Gary and Wayne want to slim down for a darts competition. Watch now on ALL4. Daria and Emma have seven days to drop some pounds for a party. Bridesmaids Emma and Elisa test drive a six week diet plan. And Dom and Adam prepare to slim over four months. Stefanie and Jade have 10 days to slim for a clothing label launch. Matt and Robb battle the bulge for a university reunion. And Vicki and Kerry get fighting fit for a mud race. In a bid to lose weight in ten days, Amber and Roisin try the Dukan lean protein diet and the mono-meal weight-loss regime. The abs and the South Beach diets are also tested. Emma tries the baby food diet as Kaye adheres to a strict veg/protein ratio for 10 days. Kate gets a glass of champagne a day while Eve draws the short straw with the bland diet. The diets being tested this time include the 5:2, Master Cleanse, the All You Can Eat and the coffee-based regime. There's also a look at virtual gastric band surgery. Watch now on ALL4. The weight-loss regimes road tested this time include the Grapefruit, Apple Cider Vinegar, Skinny Gut, Raw Food and Fast Food diets. And Xand looks into DIY enemas. Watch now on ALL4. The weight loss regimes tested this time include the High-Fat, the Mediterranean, the Cookie and the Paleo, and a diet where a protein solution is fed straight into the tummy. Watch now on ALL4.